We are offering high-end quality of Socket Flanges to our clients. They are used in various commercial, industrial and automobile industries. 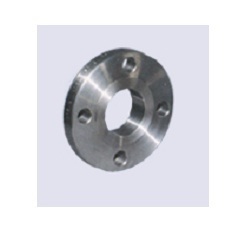 We make this flanges using high grade of raw material by implementing most ultra modern technology. Our clients can avail from us at various sizes, shapes and design as per the requirements. Material Specification: A182F304, F304L, F316, F316L, F321, F22, F11, AISI 304, 304L, 316, 316L, 321, A350 Gr LF2, Monel. A105, A515 Gr 60/70, A516 Gr 60/70, IS-2062, IS-2002, A285 Gr C.
For Socket Flange Type : 1/2" (15 NB) to 3" (80NB) in all Pressure Ratings. Incepted in 1993, Technofine Engineers an ISO 9001:2008 certified company is a premier manufacturer, supplier and exporter of Pipe Fittings, Hose Pipe Fittings & Assemblies, Tube Fittings, Flanges and Turned Components as per customer drawings and specifications. Today Technofine Engineers has evolved into one of the best in the Industry with single source responsibility to our satisfied customers. Behind our Reliable, affordable, & high quality solutions is a team of skilled, trained and experienced engineers dedicated to ensure total customer satisfaction.